TenPearls has announced the release of its second 3D racing mobile game title, Monster Truck Racing for the iPad, iPhone and iPod. Monster Truck Racing is a free racing game with exciting monster trucks, thrilling race tracks, rocking musical score, and beautiful game scene locations. Monster Truck Racing has been designed for people of all ages and is specially optimized for iPhone 4, iPhone 5, iPad 2 & iPad 3. 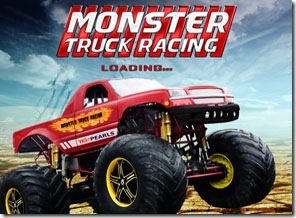 Monster Truck Racing is compatible with iPhone 3GS, iPhone 4, iPhone 4S, iPhone 5, iPod touch (3rd generation), iPod touch (4th generation), iPod touch (5th generation) and iPad. Monster Truck Racing game promises to test your driving skills. Users can win races to gather coins and to unlock awesome trucks and challenging race tracks. Monster Truck Racing also allows you to share your records with friends on Facebook and challenge them to beat your best score! TenPearls said that game was downloaded by over 5,000 iOS users during first three days of the launch. This entry was posted in computer, Current Afairs, gaming, Techmology and tagged a 3D Game for iPad and iPhone launched by TenPearls, apple, car racing games for iphone and ipad, cars, gaming, ipad new games launched, iphone and ipad car racing games, iphone new games, iphone new games launched, mobile, Monster Truck Racing, racing 3d game for iphone and ipad, technology, TenPearls games, top most played game, top racing game for iphone and ipad, transportation. you are but definitely you are going to a well-known blogger in case you aren’t already. Cheers!